Porcelain floor tile are ideal choice as they are easy to clean, are not damaged by water and look modern and sophisticated. There are two main types of porcelain tiles, each with their own features, benefits and uses. Here at Express Marble, we always get asked what the best solutions are for the bathroom and kitchens. We always recommend porcelain for this reason as it just will not ever be damaged by water. Also, they are aesthetically nice to look at, so you get the look and the low maintenance ongoing. A question we always get asked if how to maintain and manage your stone worktops once installed so we have decided to introduce you to our new product Express Marble Stonecare which is an aftercare product designed especially to care for the longevity of your stone worktops. When you have stone kitchen worktops, you want to make sure that they are cleaned deep within the stone. "LONG LASTING & EFFECTIVE CLEANING FOR LIFE"
​Express Marble stonecare, is a maintenance cleaner especially designed and developed to assist with the deep cleaning of all type of stone. Cleans without damaging even the most delicate surfaces. Easy to apply and does not require rinsing. Why not speak to a member of our team today to discuss your kitchen worktop needs, we fabricate and build kitchen worktops for the residential and commercial sectors. Express Marble provide an extensive range of Marble, Quartz and Granite Worktops in Ruislip and the whole area of West London. Our product range has been collated to provide options for any taste, budget and style of home. ​These worktop surfaces are both highly durable and easy to clean, making them a particularly low-maintenance worktop choice for any setting whether it be for a brand new kitchen or if you are looking to update your living space. Measuring Length & Depth of each piece. Consider Sinks/Appliances such as hobs. Cabinets must be Installed Correctly. 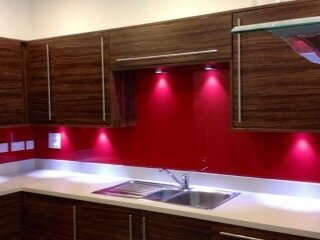 Are scratch Resistant but not scratch Proof - Do Not Cut direct onto the worktop. Durable – Do not drop heavy to prevent chipping on the surface. Chemicals – It is advisable for quartz, marble or granite that when panting all surface is covered. Other Substances to Avoid: Furniture Cleaner, Oil Based Soaps, Bleach. Important to avoid when cleaning Quartz to avoid chemicals with high alkaline. Ensure to use warm water, soap, and sponge. ​Our extensive range of Marble, Quartz and Granite kitchen worktops has been collated to provide options for any taste, budget and style of home. 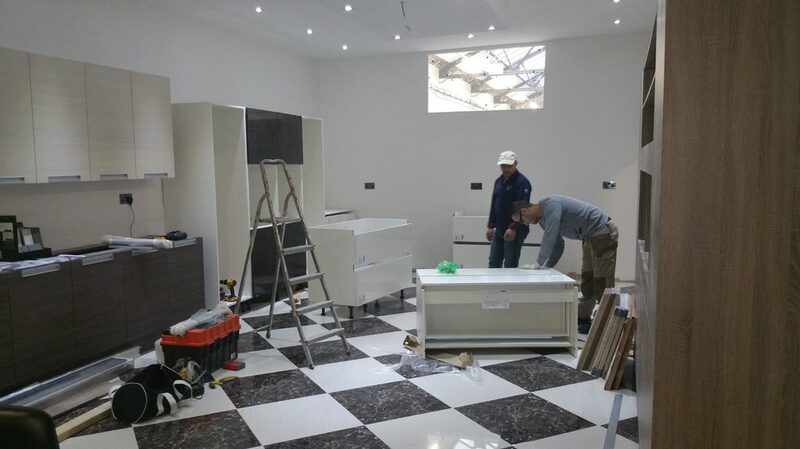 There are many pros and cons depending on your individual tastes and kitchen functionality needs as to what type of material you choose for your kitchen, however, here at Express Marble we fabricate and manufacture to everyone's taste and budget. ​These surfaces are both highly durable and easy to clean, making them a particularly low-maintenance worktop choice for any setting whether it be for a brand new kitchen or if you are looking to update your living space. With durability comes scratch-proof meaning that they will last for years and you will never notice the chopping marks over an alternative like laminate or wood. - Is scratch Resistant but not scratch Proof - Do Not Cut direct onto the worktop. - Durable – Do not drop heavy to prevent chipping on the surface. - Chemicals – It is advisable for quartz, marble or granite that when panting all surface is covered. - Furniture Cleaner, Oil Based Soaps, Bleach. - Important to avoid when cleaning Quartz to avoid chemicals with high alkaline. - Ensure to use warm water, soap, and sponge. - Please use a cleaner that does not contain BLEACH. 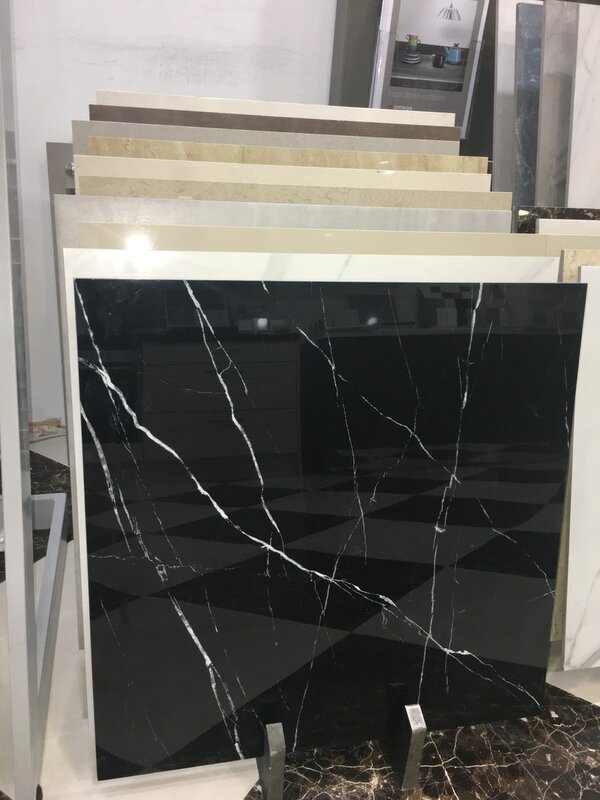 Here at Express Marble we have a huge selection of marble, granite quartz kitchen worktops all fabricated and cut to your exact needs. Our team supply the trade and direct to the public and we can help you decide what material will best be suited for your London kitchen needs. 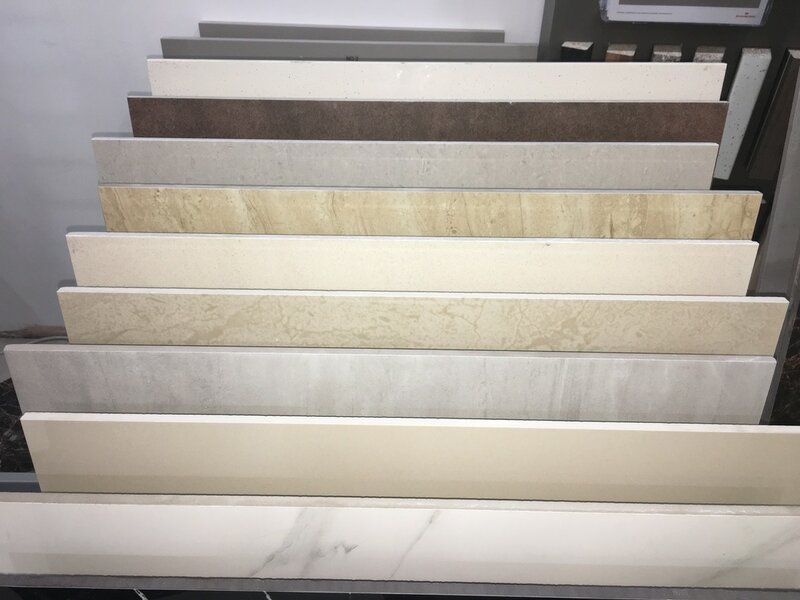 If you want the best quote for your next kitchen worktop then make sure speak to a member of our team and we will be on hand to help you through the design and fitting process. Lapitec is not a natural stone, neither is it an artificial quartz nor ceramic or porcelain but rather Laptiec is a unique product. Lapitec’s composition is 100% mineral with no resin or hydrocarbon based binder components. 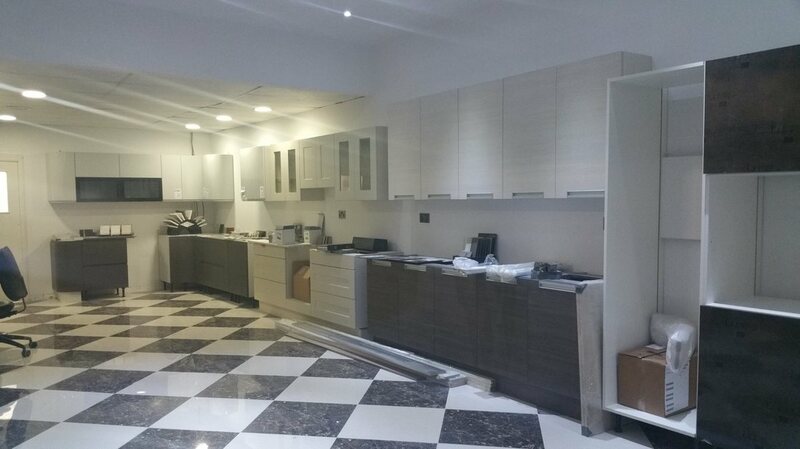 Here at Express Marble we are approved Lapitec fabrication company which means you know you get the best Lapitec kitchen worktops West London and Surrey has to offer. The primary use for this material is for worktops in kitchens but it can also be used for flooring, bathrooms and external or internal wall cladding. A prestigious Italian product that is incredibly hard-wearing and near impossible to damage as it's resistant to almost everything, including scratches, impact and acidic substances. Lapitec has many possible applications including paving, interior and exterior cladding, flooring, kitchen and bathroom surfaces. Lapitec’s extreme stability makes it resistant to abrasion, scratching, and to everyday wear and tear. The Lapitec slabs are all made to be bacterial-resistant and are comprised with self-cleaning properties which could prevent staining, and reduce the maintenance and cleaning regime. Express Marble of London can supply and fit your very own Lapitec Kitchen Worktop to homes in and around the London area. To become an approved Lapitec fabricator, the approved fabricator training process must be completed. 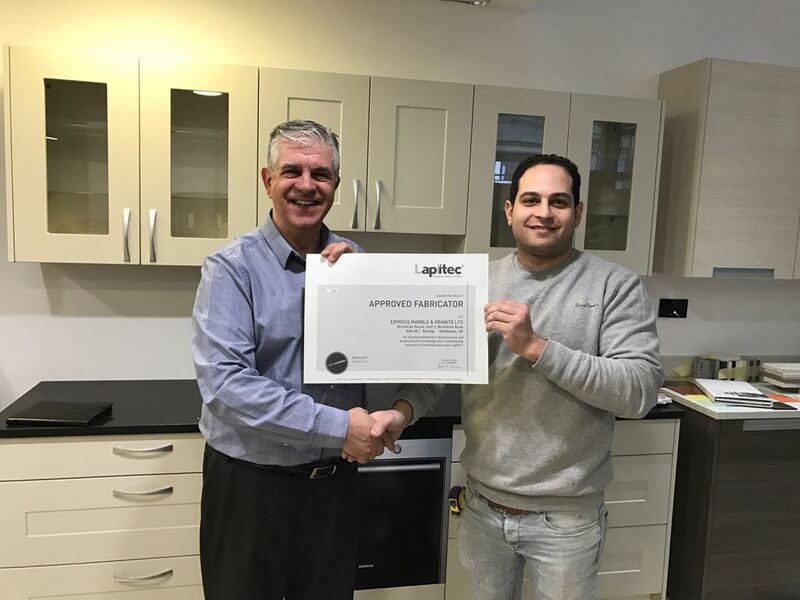 We at Express Marble & Granite have received a certificate for being an approved fabricator for Lapitec® from The Marble & Granite Centre Ltd.
Feel free to come in to our show room to see samples. ​When it comes to choosing what type of kitchen sink will sit in your kitchen, the first thing you need to consider is the durability. 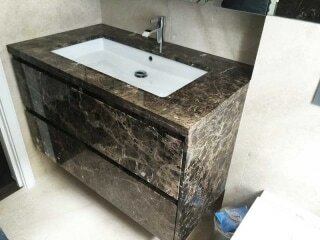 No matter what type of sink you choose, it is important that the sink will physically fit the cabinet of vanity. The most common mistake many people make is picking out sinks that are too large for the given cabinet space. It's also important to choose a sink that's well suited to your daily needs, complements your working style and looks stunning in your space. There are many different materials used to make kitchen sinks these days, such as stainless steel, composite, porcelain, cast iron, copper and glass. Stainless steel and composite sink are the most commonly used material for the kitchen. They both are very durable and should last very long time, with proper care and maintenance. Hard-wearing and easy to clean, it is Incapable of being cracked or chipped, but it's common for minor scratches to appear in the first weeks of use. This is normal and will become less noticeable over time. Cast iron is one of the oldest materials used for kitchen sinks and is still very popular today. Fireclay sinks are made by molding a ceramic clay into the shape of the sink and allowing it to dry at a high temperature for a period of up to 40 hours. Composite kitchen sinks are a combination of crushed stone, usually granite or quartz, and a resin binder. The mixture varies depending on the product and manufacturer, but it’s usually around 70%-80% rock and 20%-30% resin. Ceramic kitchen sinks are handcrafted and baked in fireclay are Ideal for traditional and country kitchens. Frame is made from toughened glass while the bowl is stainless steel. Look stylish, modern and unique. A copper or bronze sink offers a distinctive look that will take on an aged patina depending on the type of care it's given. A single bowl sink has just one basin, but is available in many different size and depth. Double bowl sinks come in a wide array of configurations– two equally-sized bowls of the same depth, two equal bowls of different depths, unequal size bowls, etc. Top mount kitchen sinks almost always have a rim or lip that hold the sink in place and creates a finished look. An undermount sink is mounted underneath the counter. With no lip or rim, the edge of counter drops off directly into the sink basin. An integral sink is made out of the same material as the countertop and is fused to it, creating a seamless transition that makes the sink and counter look like one unit. Is a large forward-facing section that replaces a section of the counter. At Express Marble we supply many type of sinks and taps from some of the industry’s leading brands like Banco, Franki, 1810 and Insinketator. You're sure to find what you need, whatever the size and style of your kitchen. Don't forget to complement your choice with our taps and waste disposers. 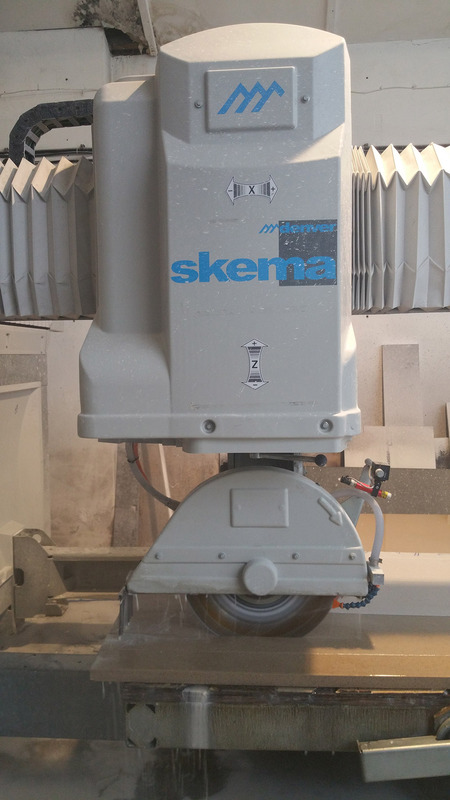 The waterjet cutter is environmentally friendly using very little water while reducing dust and hazardous gases. 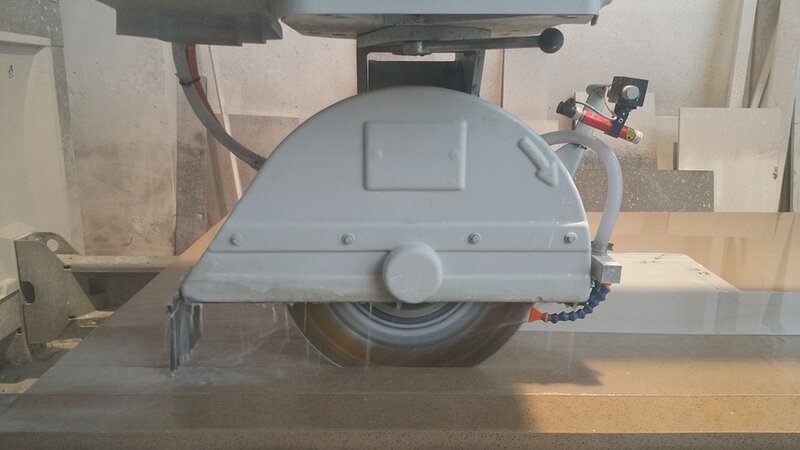 When compared to other cutters, the waterjet cutter can handle just about any tough material or product, such as bullet-proof glass, stone, metals or even materials with reflective or uneven surfaces can all be cut through with waterjet. Less Heat – Water cutters do no overheat the areas adjacent to the cutting space, therefore these pieces stay intact and uncompromised. Extremely Accurate – Waterjet cutter can achieve a 0.13 mm accuracy and very intricate cuts or 3-D shapes. Do you prefer Natural stone or Manmade stone? When it comes to designing your kitchen, the kitchen worktop choice is of fundamental importance to any focal point of a kitchen. Below we talk about the differences between Solid kitchen worktops and Quartz kitchen worktops. 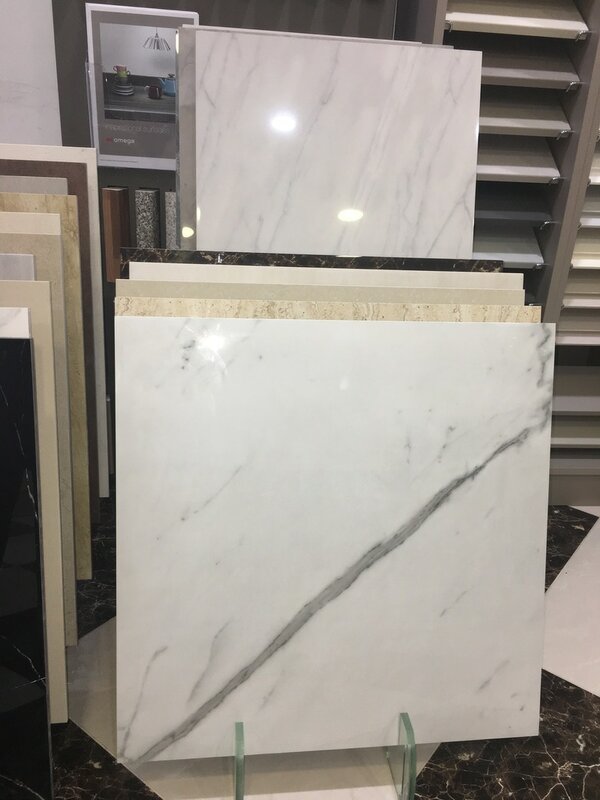 Here at Express Marble we work with both providing a bespoke cutting service and design service, but there are many people out there that still do not know the differences between the two. Granite countertops are quarried directly from the earth as a single chunk. 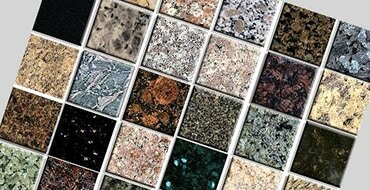 Granite is with high density and low porosity 100% natural, scratch resistant, heat resistant, big selection of colours, hygienic and easy to clean once it has been sealed. 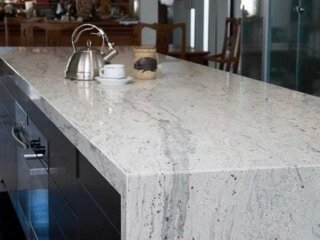 Quartz worktop are made from Quartz mineral consists of 93% natural substances and 7% of pigments and resins. They are manufactured in a variety of different patterns and colors. Quartz is very difficult to break, scratch resistant, most colours are heat resistant, resistant to acids, hygienic, easy to clean, very low porosity 0,01% with huge choice of colours. ​As Granite comes straight from earth, the appearance is not uniform. For some this will be a benefit while others will consider it to be a drawback, it depends totally on your taste and needs. Quartz, unlike other stone slabs, can be crafted with a controlled appearance.Quartz countertops are just as strong as granite. It’s a personal choice and is as individual as you are. 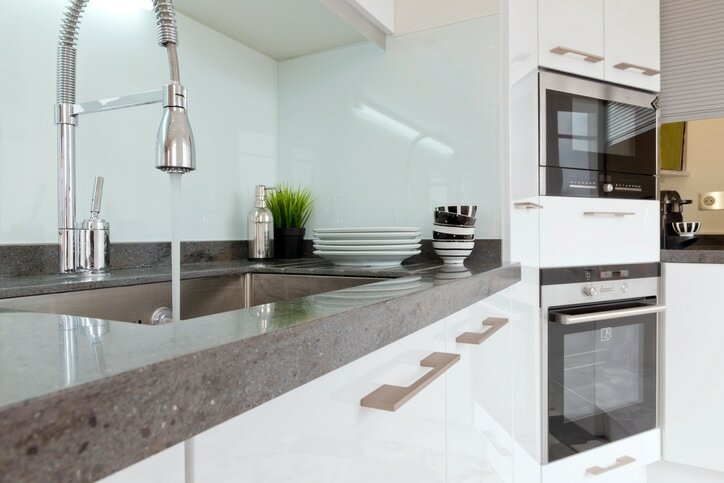 If you are looking for professional kitchen worktops in the West London area, then Express Marble are the leaders in domestic and commercial kitchen worktops with a bespoke cutting service for bespoke kitchens and curved kitchens. No matter what your kitchen worktop requirements are, we have the right kitchen worktop for you. A stunning new show room will be opening in January 2017 at our Ruislip Fabrication Centre. 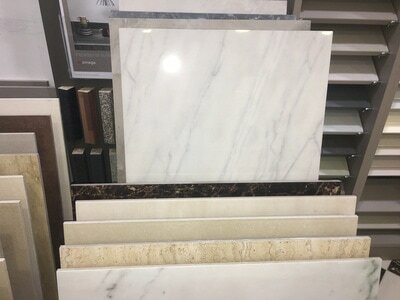 Visit our showroom and see the largest selection of natural stone, Quartz, Silestone, Caesarstone, Engineered stone and many more. 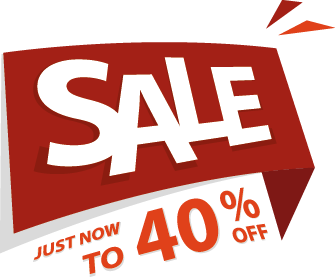 We also offer a full selection of sinks, appliances and kitchen furniture. Express Marble Worktops can help you choose the right Worktop you. Why not give us a call and see what we can offer you. Welcome to the Express Marble Blog, here you will find all the Latest News, Offers and Promotions from West London's Premium Worktop Company. 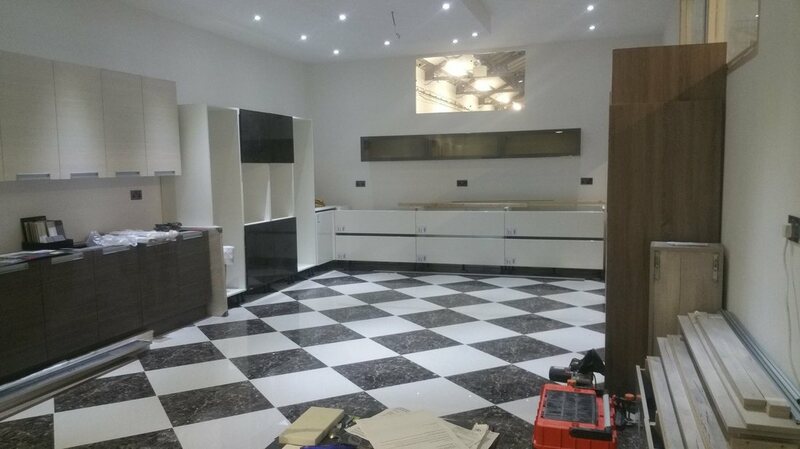 Express Marble manufacture and supply kitchen worktops throughout Ruislip and West London to the kitchen fitting trade.